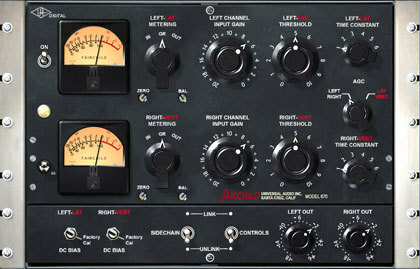 Fairchild, Software compressor from Universal Audio in the UAD Plug-In series. 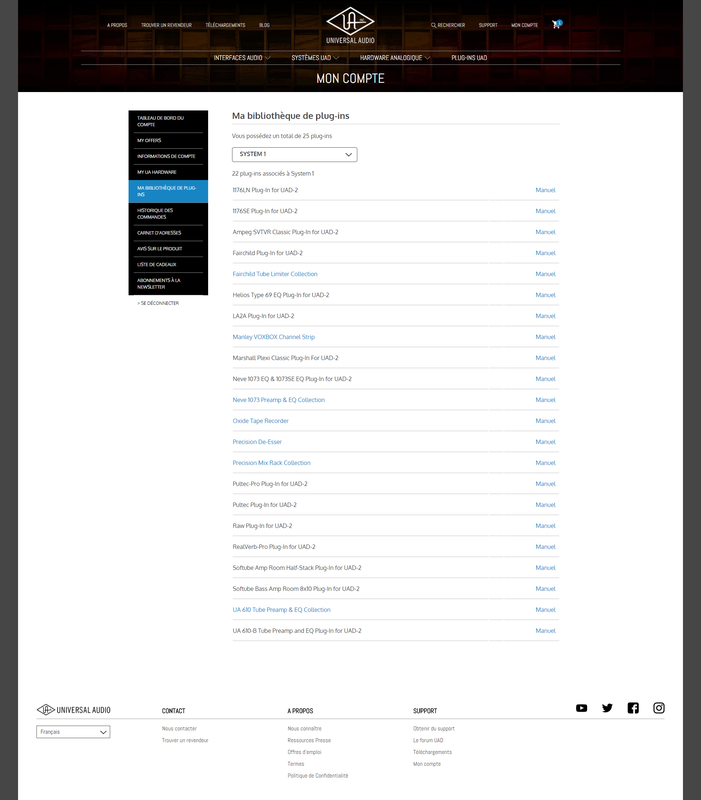 loudfunk's review"Get on the buss..."
UAD authorization download, and it's done. Perfect on OSX Snow Leopard and Lion. AS well as on vista, and W7. In the annals of compressor history, the products produced by Fairchild are some of the best built and most highly prized on the vintage market. The most famous Fairchild products produced were the 660 and 670 compressor/lim- iters, which are famous for their fantastic sound quality. The stereo Fairchild 670 is probably the “Holy Grail” of compressors in studio gear esoterica, not only because of its price (known to fetch $30,000 and be- yond on the vintage market), but also its extreme rareness and the difficulties in maintaining such a unit. With its 14 transformers, 20 vacuum tubes, 6 rack- space encompassing girth and weighing in at 65 pounds, the Fairchild 670 is truly the heavyweight champion of compression. Originating from the early 1950’s, the design of the 670 uses a single push- pull stage of amplification with an extremely high control voltage. The Fair- child 670 is a variable-mu tube limiter. Variable-mu limiters are unique in that they use tubes for gain reduction, and not just as amplifiers. The audio path is quite simple, and compression happens directly in the audio path, rather than sending out to a separate compression circuit. The unit can be used as a limiter or compressor, depending upon personal taste and program material. 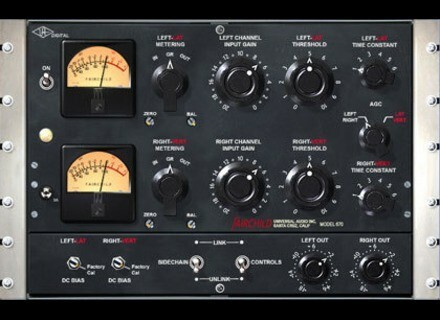 It can go from a 2:1 ratio as a compressor to a peak limiter with a 30:1 ratio. The unit can also be adjusted to operate any- where between these two extremes using the Threshold and DC Bias controls. The UAD Fairchild was created by meticulously modeling (down to the com- ponent level as usual) a carefully selected hardware unit. Our “golden unit” was the Fairchild 670 (SN #505) at Ocean Way Recording in Hollywood. The Fairchild was advertised as “The World Accepted Standard for Level Control” back in the 1950’s when it was originally sold. It is still revered for its extremely smooth, artifact-free sound, and now Universal Audio has made it easily accessible to you. And you don’t have to let it warm up for 30 minutes before use! TC Electronic and Universal Audio announce a collaboration to offer a crossgrade option to UAD-2 for registered PowerCore users, as further development for the PowerCore range comes to a halt.